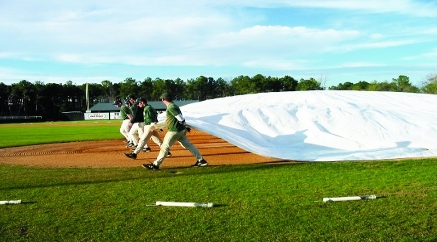 Athletic Field Covers - Baseball & Football Field Tarps | Reef Industries, Inc.
Griffolyn® is ideal to protect baseball fields, football fields and sidelines from adverse weather conditions. 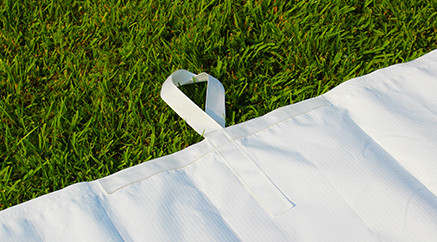 This lightweight athletic field cover is a reinforced polyethylene laminate designed to handle rigorous use, resist tears and punctures and abrasions. 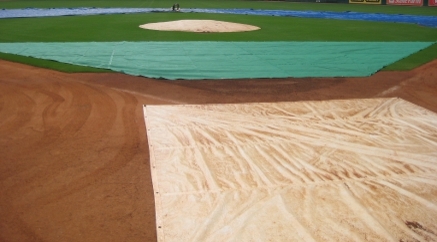 When weather events threaten the condition of your athletic field, you need a cover that is quick and easy to install yet tough and reliable year after year. 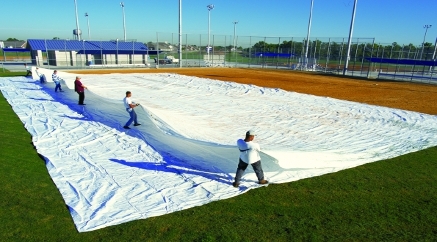 Griffolyn® athletic field covers retain their strength and flexibility in extreme temperatures and are UV stabilized to withstand sun exposure. 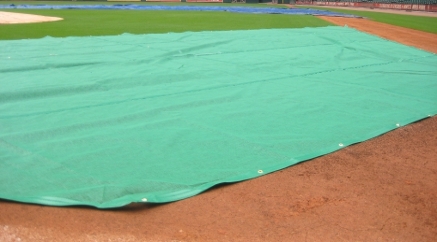 Numerous professional baseball teams and colleges rely on Griffolyn® field covers for reliable field protection. 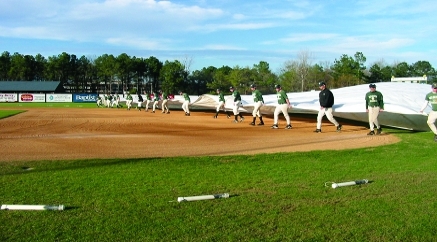 Settle for nothing less than the pros, demand the quality of Griffolyn® athletic field covers. 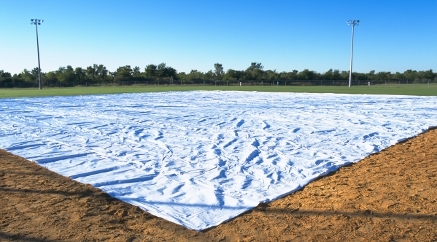 All tarps are made in the U.S.A.